Nicolas Martinez is currently fifth in Super League (Greece) and third in group Gr. 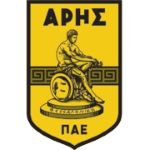 4 of Greece Cup (Greece) with his team Aris Thessaloniki FC. 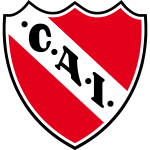 Nicolas Martinez played 17 matches this season. In terms of preferred feet, he is a left footer, like 10% of Aris Thessaloniki FC. 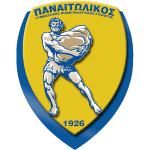 Having been born in 1987, on September 25, his age of 31 makes him senior to the average player of Aris Thessaloniki FC. In August 2018, Spanish midfielder Nicolas Martinez joined Aris Thessaloniki FC (Greece), whom he is still playing for. He stands 169cm high and thus is 10cm smaller than his team on average. Altogether, he was substituted in 49 and out 67 times. Currently, he entered the pit more than he left it which is different to last season wherein he did the opposite. 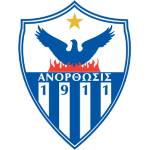 Aris Thessaloniki FC has 16 more midfielders in their squad, namely Dimitris Anakoglou, Hugo Sousa, Charalambos Pavlidis, Paraskevas Kallidis, Migjen Basha, Manolis Siopis, Kyriakos Savvidis, Javier Matilla, Nicolas Diguiny, Bruno Gama, Mateo Garcia, Lefteris Intzoglou, Haris Stamboulidis, Martin Tonso, Manolis Tzanakakis and Giannis Fetfatzidis. Nicolas Martinez received nine penalties throughout his entire career (all yellow). In the current playtime, he caught 1 yellow card. His longest stay in a team counts three years and 32 days in his current club. Weighing 149.91lb, he measures 15lb less than the average player on Aris Thessaloniki FC. 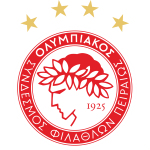 Nicolas Martinez's squad won 60% (80% home) in Super League and concluded in a tie in 33% (0% home) in Greece Cup. The highest win streak of the last 5 matches happened in Super League with a count of 3. From his professional start until now, he has performed in 189 matches in total and hindermost appeared 13 days ago. On average, he has participated in 14.5 matches per season. He wears the number 18 strip at Aris Thessaloniki FC. 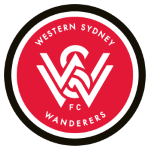 In terms of top seasons, the A-League 16/17 (Australia) was Nicolas Martinez's best one yet, breaking two personal records in terms of not only goals but also assists. 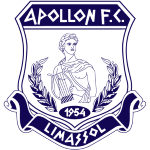 He was contracted to a few clubs during his professional career, one of them being Panaitolikos, for whom he played before coming to Greece. 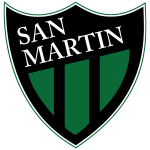 His shortest spell with a club was six months in San Martin de San Juan (Argentina). Nicolas Martinez is enjoying a great Super League 18/19 (Greece) season so far, netting twice (5.4% of his team's sum) and initializing no goals. This leads to roughly 0.12 scores per match in the resent season. One could say he translated to a slighlty diminished form compared to last year yielding a per-match-quota of 0.15 goals and 0.07 assists.